The all new and exciting BSN Hyper Shred Powder is a thermogenic fat burning formula to help you use more fat for energy, all day, every day. Scientifically formulated to keep you lean and athletic Hyper Shred contains cutting edge ingredients, proven to work and get real world results. If you are wanting to lean down and tone up then Hyper Shred is the product for you. Acetyl-L-Carnitine is a core of BSN Hyper Shred Fat-Buner. With the Acetyl-L version of Carnitine you get all of the normal benefits of normal Carnitine Tartrate but with the added benefit of boosting specific neurtransmitters. Dopamine in particular is boosted by Acety-L-Carnitine which is the neurotrasmitter responsible for cravings and giving you the contant ureg to eat what you shouldn't. By having higher levels of Dopamine your body no longer subconsciously drives you to pick up sugar laden, fat producing foods that spike your insulin and cause fat storage. Tyrosine is another great product for boosting Dopamine levels and further reducing sugar cravings, giving you a feeling of satiety, allowing for easier diet control of Carbohydrate and calorie intake. Chromium is a mineral responsible for regulating blood sugar levels. When your blood sugar is irratic so too is your enegy and mental focus. You blood sugar levels start going up and down like a roller coaster when you are chromium deficient causing insulin to elevate. Insulin is the hormone that makes us shuttle carbohydrates out of our food and convert them to stored body fat. 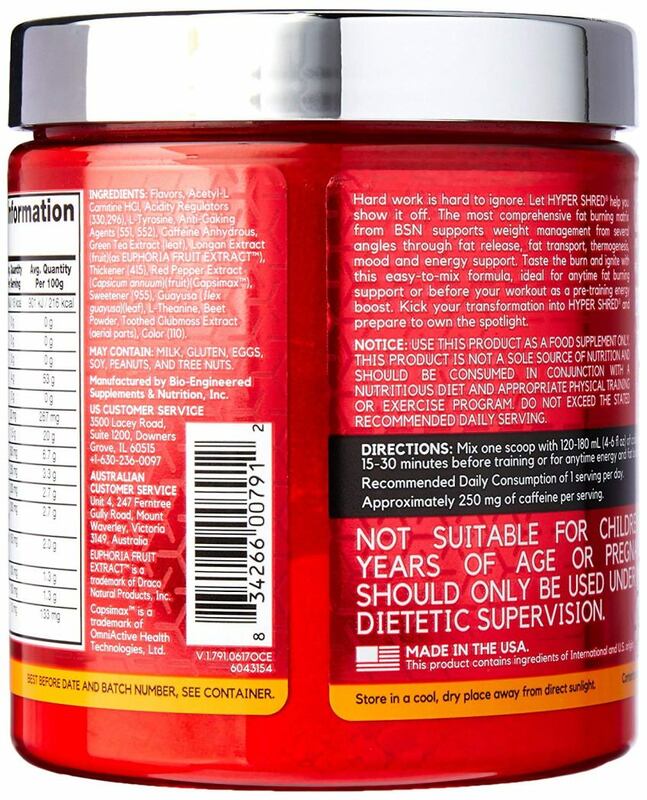 BSN Hyper Shred is a fat-burner that can significantly speed up you bodies ability to lose fat faster. HyperSHRED comes in a range of great flavours that make it very easy to take and helps you avoid the normal sting of Acetyl-L-Carntine, which is know to normally have a very tart vinegary taste. Chock full with clinically effective doses of fat metabolisers, appetite supressants and thermogenics, Hyper Shred ticks all the boxes for a efficient and effective fat loss supplement. That being said any thermogenic product always works best when used in conjunction with a diet and exercise regime in corparating either a low carbohydarte or low calorie diet. Being a powder has allowed BSN to add significantly more active ingredients that if this were tablets or capsules. 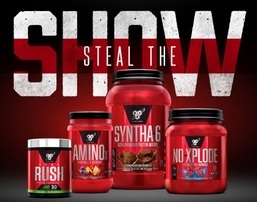 Most thermogenic ingredients and fat loss powders need to get to therapeutic levels and BSN have done this very well with Hyper Shred. To be honest the only downside of this product is that it is very new and we have not yet had time to see if the theoretical benefits translate to real world results. BSN do have a long standing history of getting results so it is highly unlikely to be a legitimate concern. This is a very specific product for those wanting to lose a bit of excess, unwanted body fat faster. This item is not to be confused with a conventional Pre-Workout which increase training intensity and lactic acid reduction. Mix 1 Scoop into 150ml of Cold Water and consume. Ideally, take before exercise, or first thing in the morning. 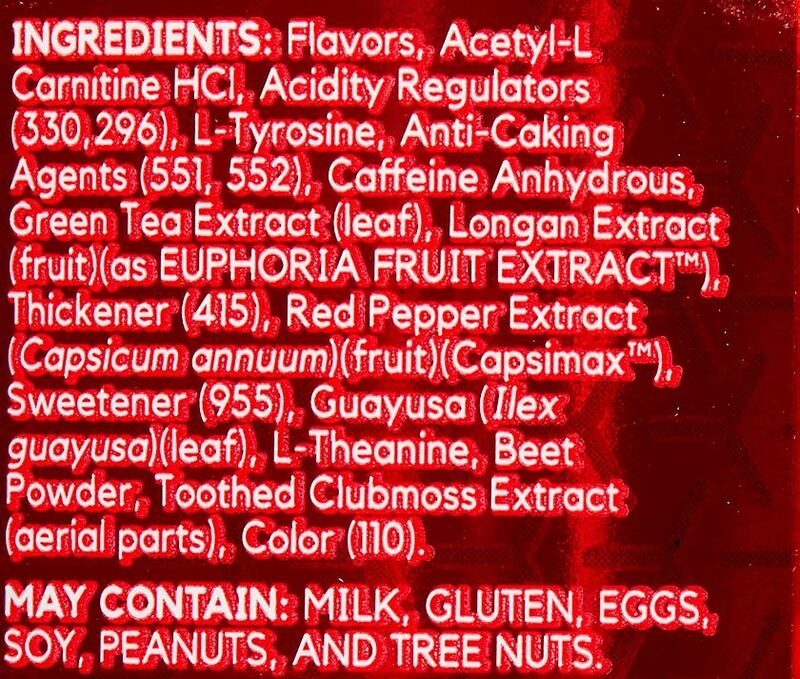 INGREDIENTS: Flavours, Acetyl-L-CArnitine HCL, Acidity Regulators (330, 296), L-Tyrosine, Anti-Caking Agents (551, 552), caffeine Anhydrous, Green Tea Leaf Extract, Longan Extract (fruit)(as EUPHORIA FRUIT EXTRACT[TM]), Thickener (415), Red Pepper Extract (Capsicum annum fruit)(Capsimax[TM]), Guayusa (Ilex guayusa leaf), L-Theanine, Sweetener (955), Toothed Clubmoss Extract (aerial parts) Colours (102, 110).